Master Chefs' Institute, LLC, announced today the addition of Daryl Shular, Certified Master Chef, as an Associate. Master Chefs’ Institute is an esteemed international organization that is dedicated to preserving the highest standards of culinary excellence. Among its many services, Master Chefs’ Institute conducts comprehensive testing of food, equipment, and beverage products and awards the Master Chefs' Seal of Excellence only to those products that outperform the competition and meet the quality standards of the Master Chefs. 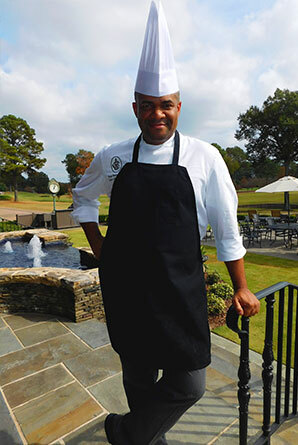 Before joining Atlanta Athletic Club, Chef Shular was the Corporate Executive Chef/Director of Education for North America for Le Cordon Bleu College of Culinary Arts. He earned his Certified Master Chef (CMC) certification in November 2014. Other career achievements include membership in the American Culinary Federation since 1993, receiving over twelve gold medals and eight “Best in Shows” in local and national competitions. Additionally, in 2008 Chef Shular was a member of the internationally recognized ACF United States Culinary Olympic Team, the official culinary regional team representing the United States in international culinary competitions. The team achievement was an Olympic Gold Medal, winning top honors against 63 teams at the IKA “Culinary Olympics” held every four years in Erfurt, Germany. His achievement, dedication, talent, and leadership ability earned him the position of team captain for the ICS International Culinary Regional Team that competed at the Culinary Olympics in 2012. "It is a great honor to be invited to join the Master Chefs' Institute," states Chef Shular. "To be part of an organization that helps chefs like me make educated product decisions is very rewarding. The Institute’s work has a place in every kitchen, letting chefs know exactly what to expect in terms of performance, consistency, and quality." Chef Ferdinand Metz, CMC, Managing Partner of Master Chefs' Institute states, "We are very excited to welcome Certified Master Chef Shular to the Institute. Chef Shular has achieved so much in his career by never backing away from a challenge. His tenacity, supported by his incredible talent, passion, and skills, make him a perfect fit with the Institute's vision to uphold the highest culinary standards."